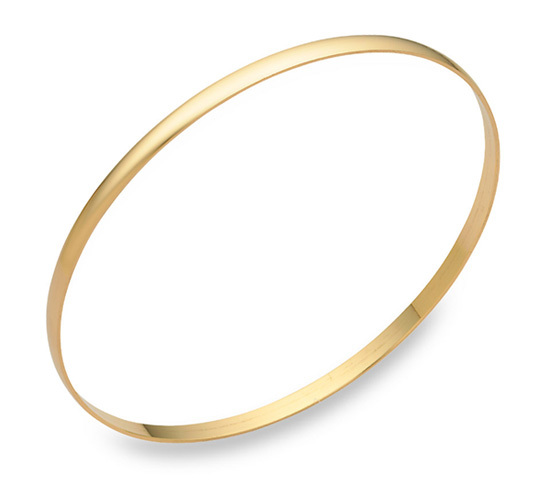 14K Solid Gold Plain Polished Bangle Bracelet. 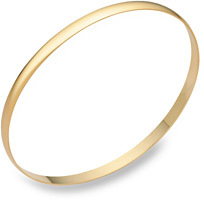 Bangle size: 7 inches (standard) or 2.50 inch inside diameter. Also available in 7.5 inches (2.75 inch diameter). 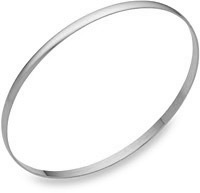 Available in 2mm, 3mm, 4mm, and 5mm widths. 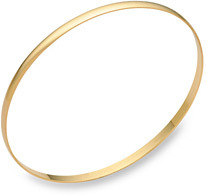 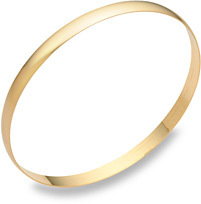 We guarantee our 14K Gold Plain Bangle Bracelet (2mm) to be high quality, authentic jewelry, as described above.